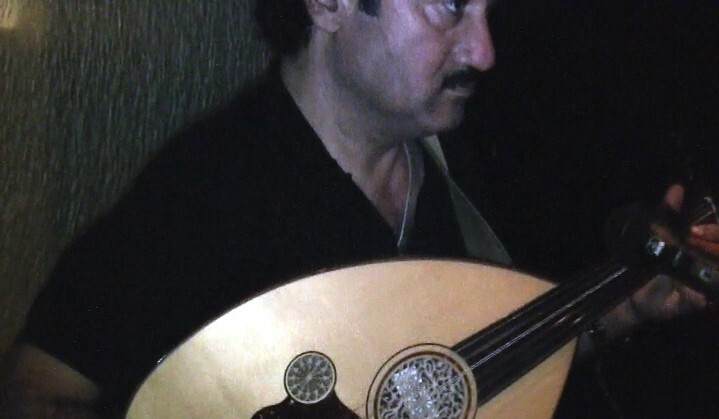 Arabic oud player for hire. Nizar Al Issa’s naturally powerful, passionate voice has been called ‘the authentic sound of the Middle East’. Arabic oud player Nizar Al Issa’s naturally powerful, passionate voice has been called ‘the authentic sound of the Middle East’. His extraordinary vocal range and control resonates immediately and intimately with an audience, conjuring images of spice markets and souks from Amman to Yemen, colourful celebrations in Palestine, to poignant echoes of the past glories of Moorish Spain. Combine this with his gifts as a composer and songwriter, and add his mastery of the Oud to the mix and you have a uniquely versatile and talented musician who’s making waves along with great music! A dynamic and exciting performer, he credits his ability to sing and compose in a range of styles to his refugee background and his choice of a music education in Egypt over his family’s wishes for a more academic path in the US. A Palestinian from a respected musical family with roots in Ramallah, Nizar’s own story is that of the Palestinian Diaspora. ‘Yes, I’m an Arabic singer, composer who can sing in the language and tradition of many countries in the Middle East’ he laughs. ‘Iraqi’s ask me if I’m from Iraq, while the Egyptians are convinced I’m from Cairo, and in Spain they’re sure that I’ve spent time learning gypsy Flamenco’. ‘But the heart and soul of my music is the knowledge that we all share far more in common as human beings than we acknowledge, wherever we come from’. His most recent collaborations reflect this beautifully, crossing both musical and sometimes politically controversial divides in gigs with jazz saxophonist Gilad Atzmon. Nizar also has an impressive list of Festival performances in Italy, Morocco and Tunisia.